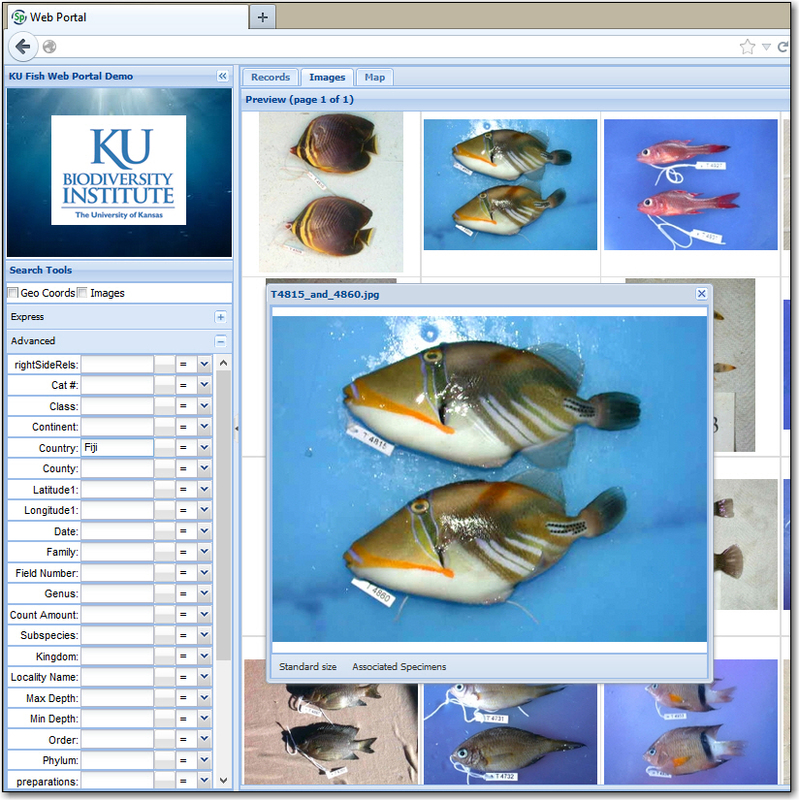 For collections that have are using Specify 6 and wish to publish their data on the internet, the Specify Web Portal is a full-featured web interface for public access to specimen data and images. It is an optional component of a Specify installation. Working from an exported copy of a Specify collection database, the Web Portal provides full-text indexed searches, structured, and spatial queries of specimen holdings. Express searches are fast with full-text indexing on every word in the database. Structured queries allow precise control of the search scope and multi-field queries can be constructed with AND or OR logic. 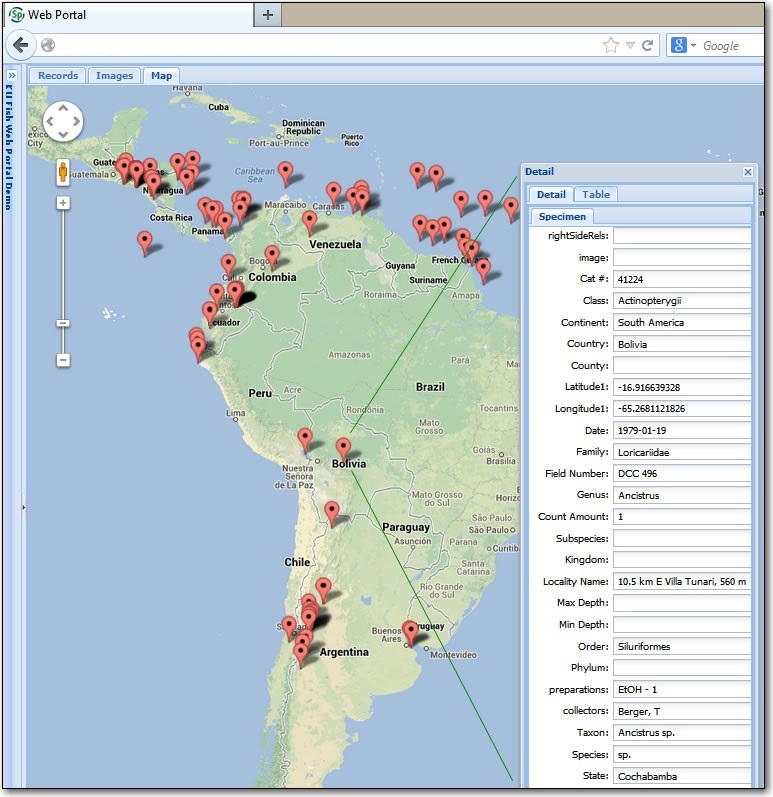 Searches can be qualified to return only records with geo-coordinates or with attached images. 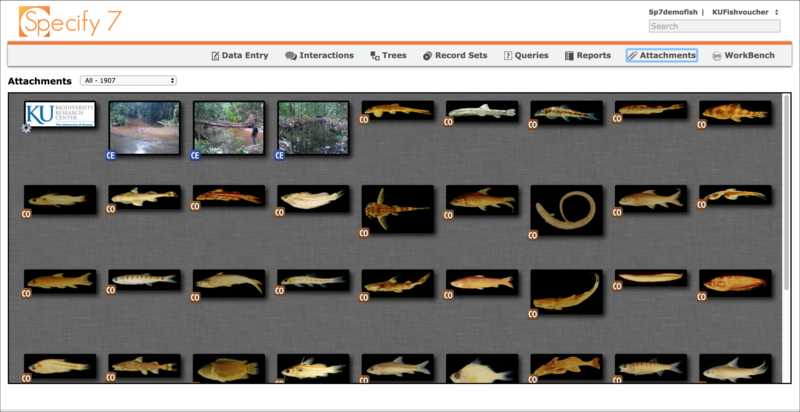 The Specify Web Portal displays specimen information in three views–Records, Images, and Map. 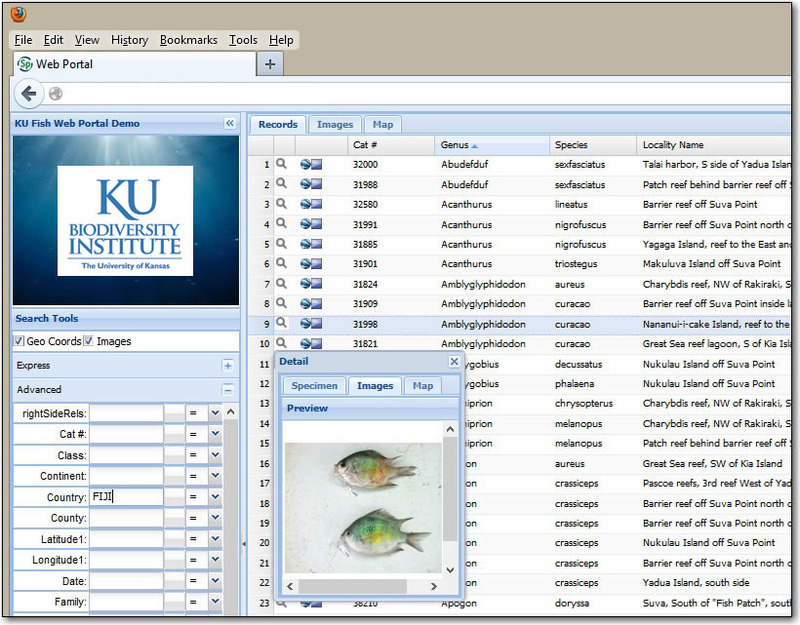 On the “Records” tab specimen data are shown in a traditional grid view. The choice and number of data fields to display in the web interface is determined by each collection, and web users can sort and re-arrange data columns during a session. The search panel is customizable with an institutional logo or brand image, and the pages can be embedded into institutional content management systems or web platforms by a web programmer. The Specify Web Portal is an effective tool for publishing specimen data–it is configurable and customizable. Specify’s Schema Mapper and Data Export tools make issuing updates from a Specify collection database easy. The Web Portal is intended for institutional web server computers; setup requires the technical expertise of a server or network administrator. Installation information is available on the Specify web site Documentation page in the file: Using the Specify Web Portal (PDF).